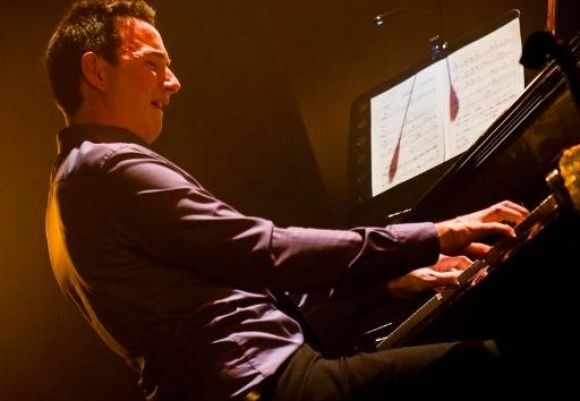 Currently a resident of Paris, up and coming pianist Fred Nardin was born in the town of Saint-Rémy in 1987, where he started playing piano at the age of five. He is one of the creators of the Amazing Keystone Big Band, consisting of 18 of the best young jazz musicians from the Lyon and Paris jazz scenes. Their first album “Pierre et le Loup… et le Jazz”, an arrangement for big band of Prokofiev’s “Peter and the Wolf", won “Best French Jazz Album of 2013”. The Amazing Keystone Big Band has collaborated with internationally renowned artists Quincy Jones, Cecile McLorin Salvant, Gregory Porter, James Carter, Charles Aznavour, Christine and Ingrid Jensen, and Bill Mobley. A leader in his own right and an active pianist on the French jazz scene, Fred has worked and collaborated with Didier Lockwood, Charnett Moffett, Scott Hamilton, Ricky Ford and many others.